We are one of the leading Manufacturers, Exporters and Suppliers of Pit Furnace. 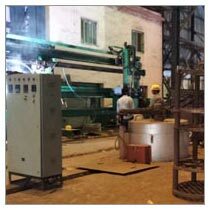 We deal in highly durable and efficient Pit Furnace that is fabricated in state-of-the-art production unit. We source the raw components from leading vendors in the industry thus ensuring durability and reliability. The Pit Furnaces we deal in are used for hardening, annealing, tempering gas carburizing, carbonitriding, nitriding, normalizing decarb and various other heat treatments. We make sure that the Pit Furnace is in compliance with the international standards thus we conduct quality check at every production stage.